The Wild Atlantic Way in Northern Ireland delivers lilted welcomes, links and laughs. In May the mellow yellow gorse laces fields dotted with cattle and sheep. We licked our chops thinking of theirs and the golf to come. 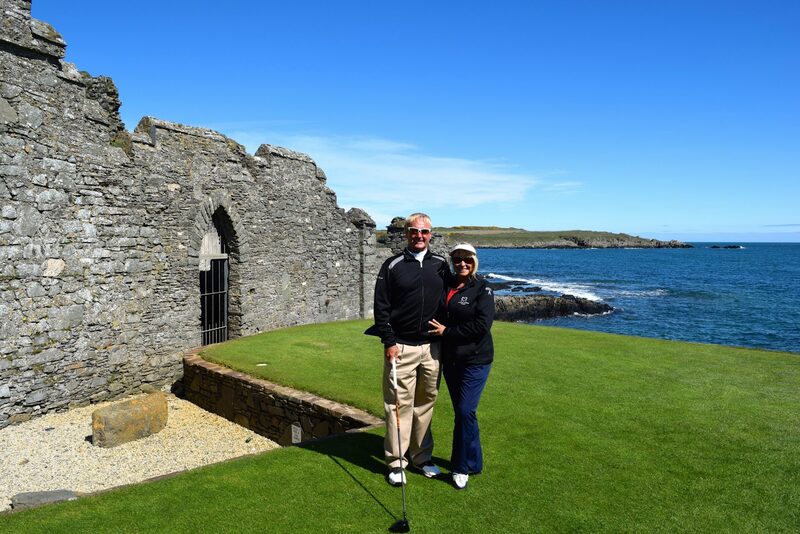 Alas, we see the sea and seals in rugged County Down and a shining gem – Round 1 – Ardglass GC, carved around capes of waves with views of Coney Island, Isle of Man and one of the oldest clubhouses in golf beside a colorful harbor. Along the row of canons on a sunny, light breezy day, our starter advised, ”You have the Irish Sea to the left and Ireland to the right, I suggest you aim at Ireland.” We suggest you play this course. 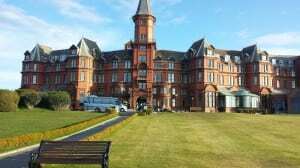 Stay at Slieve Donard Hotel next to Royal County Down for a good night’s sleep on their “Cloud Bed.” The window view is a great wakeup call as Mount Mourne drifts down to meet the sea. A bottle of Bushmills on the breakfast buffet is not for decoration but as nectar to top the porridge. In our group, only the Scot (with a single t) took advantage. 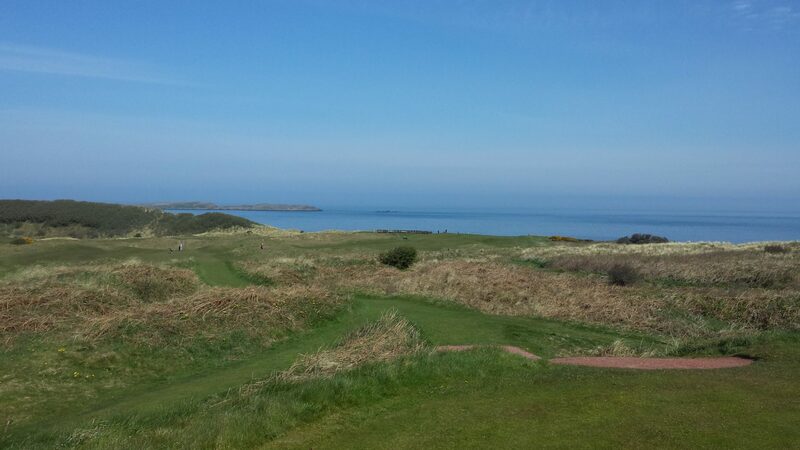 Round 2 – Portstewart GC Strand Course – the most breath taking opening shot in Northern Ireland. Perched on the highest point in Portrush with the beach and blue sea to the right, the downhill par 4 introduces a hidden front nine series with tricky grassy hills. This beast tames on the back nine, stringing hollowed as well as hallowed golf holes. Finish to a seagull serenade. 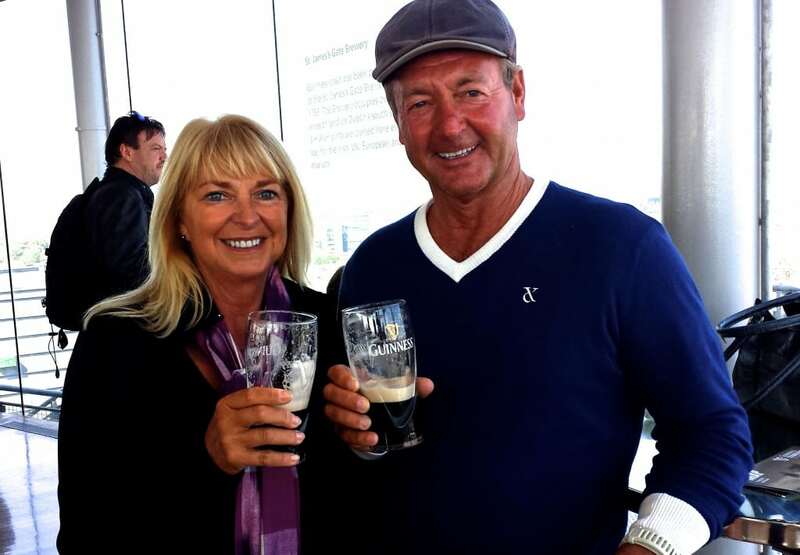 Round 3 – Royal Portrush GC. Site of the 1951 Open, it is a who’s who of history. Rory, G Mac, and Darren Clarke are members. A suited starter announces the round and explains the first hole. After a poor shot, he informed, ”Sir, you may have a mulligan.” The course meanders to the coastline of white limestone cliffs, Dunluce Castle and the islands. When asked about the town of Portrush, the caddie quipped, ”It is 5,000 alcoholics clinging to a rock.” Love the Irish humor. 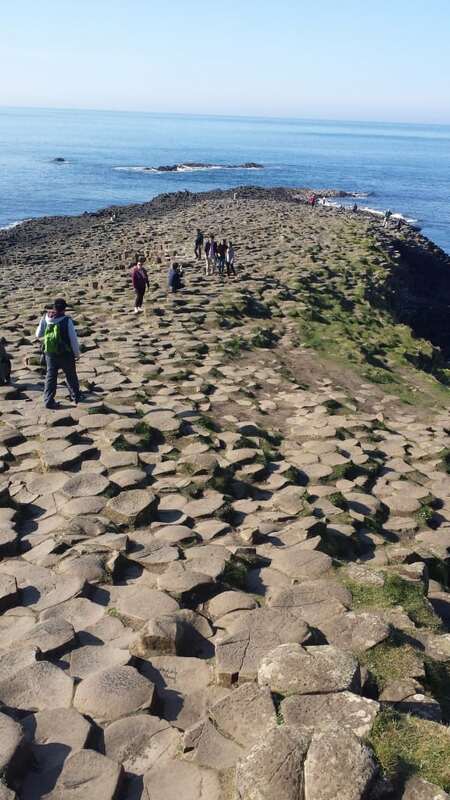 Off course is one of the world’s natural wonders – Giant’s Causeway. A zillion basalt hexagonal formations are mysteriously stacked like a children’s puzzle rising out of the sea for an otherworldly amazement. Round 4 – Castlerock GC. A warm Irish welcome with scones and coffee or tea complemented a cool, damp fog engulfing the course. It enhanced the village skyline on the first few holes along train tracks. On a clear day ocean views are staggering. Fresh Guinness, a sandwich and hearty soup are the rewards after every round in Ireland. Stay at Ballyliffin Lodge in Donegal where the fog lifted for a panoramic balcony view overlooking a valley of sheep and the seaside golf course. Round 5 -Glashedy Links. 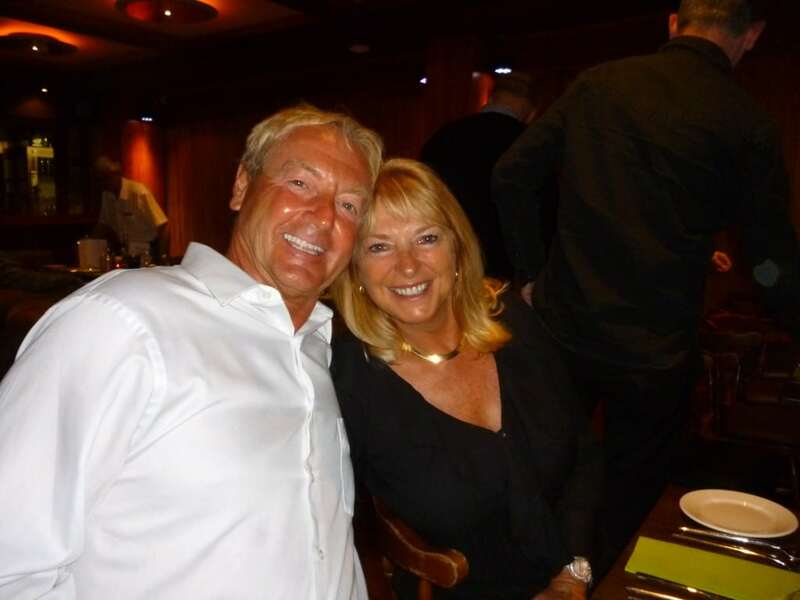 Named for the island off shore, this was our favorite. All 36 at Ballyliffin GC are championship caliber. Stay at Rosapenna Hotel & Golf Resort with a bay view in the elegant dining room, and music and fun in the pub. Steps away, Round 6 – Sandy Hills Links. Well named, it is a bit penal with narrow shoots but another great track. Our final stay was at McGrory’s Hotel of Culdaff, a little village minutes from beach activities. We sang along with the talented musicians strumming in the pub, danced and laughed with the locals and international friends, sorry to end the trip. Danny handed the contest winners check off to Patrick with the First Tee of Ireland along with the European association’s president Jo Maes.